Unique EZ-Turn™ ring design for smoother page turning. Gap Free™ feature prevents ring misalignment. 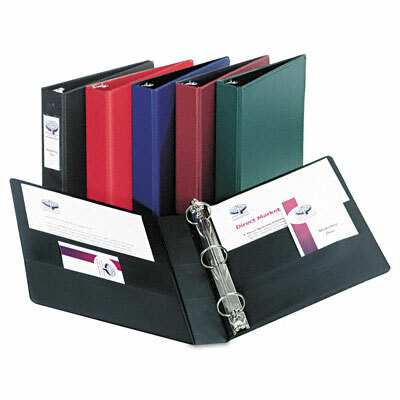 Back-mounted rings allow pages to lie flat. Two inside pockets store unbound materials so nothing gets lost. Black vinyl interior liner masks minor blemishes, wear and soil.